Modi Govt’s big success on black money. The Modi government has got great success in Blackmoney issue. 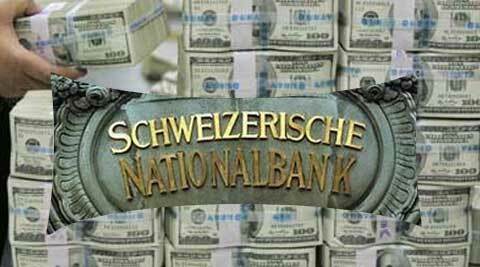 Switzerland government approves sharing of financial accounts with India. Under this; Government of Switzerland will be an automatic exchange of financial account information between India and other countries. With this, information about the suspicious blackmoney can be shared immediately. However, the Swiss government has said that in this case India and other countries must strictly follow secrecy and data security. Automated information sharing between India and Switzerland will be started from 2019. The Swiss Federal Council, while implementing the Automatic Exchange of Information (AoI) from Switzerland, said – it is planned to be implemented from 2018. The first round of information sharing will be done in 2019. The Federal Council of Switzerland has notified the date, since the automatic exchange of information will begin. The Federal Council of Switzerland has notified the date, since the automatic exchange of information will begin. This decision will not require referendum. Before automatic exchange, Switzerland will see whether India and other countries fulfill the secrecy and data security standards. The Swiss Federal Council is the top governing body of European countries. The Council will provide information to the Indian government on the exact date of automatic notification sharing.